The Federal Government on Thursday siad that the Lagos-Ibadan Standard Gauge Rail Line will be delivered in December. 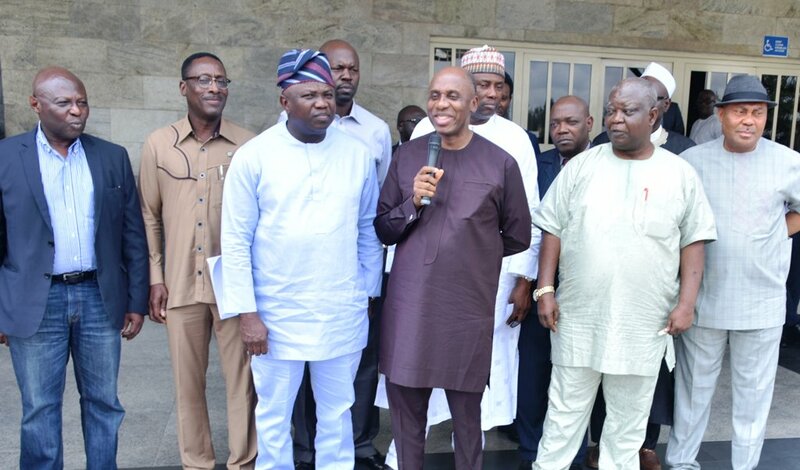 in Alausa, Ikeja, after a closed-door meeting with Governor Akinwunmi Ambode of Lagos State. the project would commence work on the Lagos axis next week on both lines. The minister thanked the Lagos State Government for being helpful in the payment of compensation to those affected and said the federal government was looking for private partnership to build two mega train stations in Lagos. He said the stations in Apapa and Ebute Meta would be expanded to accommodate a mall and a hotel. Amaechi explained that the recently awarded contract for the TinCan-Oworonshoki-Ojota Expressway would also aid in evacuating cargoes from the ports in addition to the two rail lines which would both terminate at the Apapa seaport. Ambode also thanked the federal government and the minister for expediting action on the project, describing the efforts being made as a two-pronged approach to ease the Apapa gridlock. He restated the state government’s commitment to collaborate with the federal government on the project, noting that it would alleviate the sufferings of the people. Federal and the state governments had collaborated in the last few weeks to find a lasting solution to the gridlock on the roads leading to Apapa, the nation’s hub of economic and maritime activities.